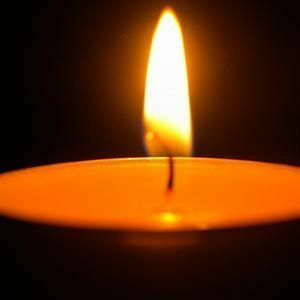 Michael Randall "Bill" Ludwick, 60, of Mount Pleasant, South Carolina, entered into eternal rest Thursday, March 14, 2019. The family will receive friends from 4:00 p.m. until 6:00 p.m. on Sunday, March 17, 2019 in J. Henry Stuhr, Inc. Downtown Chapel, 232 Calhoun Street. His funeral service will be held Monday, March 18, 2019 at 12:30 p.m. in Stuhr's Downtown Chapel. Interment will follow in Holy Cross Cemetery. Bill was born July 19, 1958 in Charleston, South Carolina, son of the late James Eugene Ludwick, Sr. and Pauline Elizabeth Lanier Ludwick. He grew up in Citadel Square Baptist Church. Bill attended Charleston schools and Auburn University. Bill worked for many years at Cross Seed Company and more recently, Hyams Garden Center as a horticulture specialist. His storytelling and generosity will be missed. His family would like to thank the staff of Roper Hospice for their incredible physical and emotional support during his illness. Bill is survived by two brothers: Steven P. Ludwick of Charlotte, NC and David L. Ludwick of Miami, FL; as well as his sister, Patty Petit and her husband Brian of Mount Pleasant, SC; along with three nieces, one nephew and their spouses; and four great-nieces. He was preceded in death by his brother, James E. Ludwick, Jr. He was a lifelong animal lover. Kindly make memorials to Pet Helpers, 1447 Folly Road, James Island, SC,29412 or Charleston Animal Society, 2455 Remount Road, North Charleston, SC 29406. I knew Billy at Charleston High school. He was always a friendly face in the crowd. I know he will be missed and my thoughts and prayers go out to his family. May they find peace at this difficult time. David and family, I'm saddened to hear about Billy! Take comfort in knowing he's in no pain now! Patti so sorry for your loss. My thoughts and prayers are with you and your family. Life Stories provides friends and families a forum to post their favorite stories and memories of Michael Randall "Bill" Ludwick ensuring the precious experiences are never forgotten. Share joyful times, post a photo that captures the moments you cherish, and allow others to reply, relive and remember.